Riding the banks of the Thames – without moving an inch! The journey may not have been as picturesque, but Lanes Utilities colleagues rode the entire length of the River Thames to raise money for good causes. They have taken part in the Lanes Cycle Challenge, which is seeing teams from depots and service hubs across the UK cycle the distance along famous geographical landmarks for five charities. A team of 15 colleagues at Lanes Utilities, the wastewater network service maintenance partner for Thames Water, chose to cycle the 346km length of the River Thames. 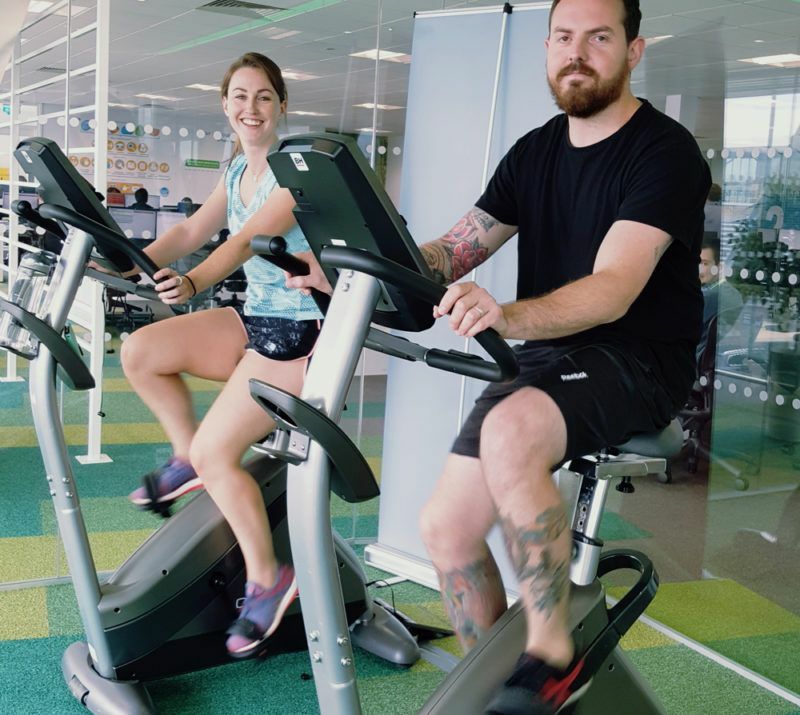 They completed the distance in 24 hours over two days by hopping on and off exercise bikes in between working with Thames Water colleagues to maintain drains and sewers for 15 million customers. And they beat their target by 29km, so technically finished pedalling in the sea somewhere off Southend, in Essex. All the pedalers contributed as much time as they could during a busy day – but the ‘Tour de France’ honours going to Health and Safety Assistant Toby Cook, who completed 70 kilometres in just two hours. Money raised by staff through sponsorship will be matched pound-for-pound by Lanes Group. The company’s ‘5-in-5’ campaign is supporting five charities over the next five years. Those charities are The Sick Children’s Trust, Sarcoidosis UK, The Stroke Association, Mind, and The Jack and Jill Children’s Foundation. Lanes Utilities joined teams from across the UK who have already cycled the distance along other notable geographical features. For example, a team based in Leeds cycled the 114km length of the River Aire, riders based in Eccles cycled the 204km length of the Leeds and Liverpool canal, and riders based at AQS Environmental Solutions in Ireland rode a 240km route between the three well known peaks in Ireland.